Mackinac Island sits in Lake Huron just east of the Bridge which connects the larger part of Michigan to the Upper Peninsula. One can ride around the island in about an hour on a bicycle as the trip is only 8 miles. Other choices for transportation are walking and horse drawn carriage. There are three motor vehicles, all for emergency services. The result is a horde of bikes and a load of horse manure. My Hotel was right next to Saint Ann’s Church which stays rather busy as this is a favorite location for Michigan Catholics to marry. Quite a few brides were visible Saturday afternoon. The place is touristy to the max. There are many stores making fudge and other sorts of candy. It costs more to rent a $400 bicycle here than it costs to rent a mid size car in most US cities. My favorite watering hole was the Sea Biscuit which serves a very strong Train Wreck brew on draft in real 20 ounce pints. This collection of photos was captured in rural areas of Northern Michigan during August of 2012. 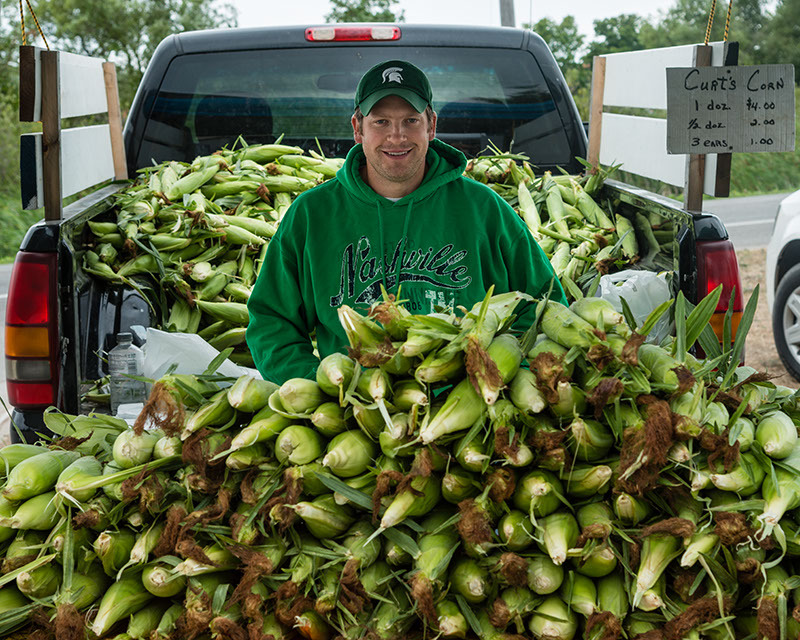 It is pastoral with three barns, a country store and roadside produce vendors. “Beach at the End of Time” was inspired by the movie “Tree of Life”. I toured Michigan for two weeks in August of 2012. A few days were spent in Dearborn. There is one photo from the Henry Ford Museum of a steam engine. From Dearborn I motored North to Traverse City and the Sleeping Bear Dunes National Recreational Area. The dunes are spectacular and some are steep. In one place climbers descend about 1,000 feet (300 M) to the lake with no way to return but to climb back up. There is a fee for rescue. The view of Lake Michigan from that spot demonstrates its vastness. It looks more like an ocean than a lake. Traverse city sits on a narrow bay and is a favorite destination of young families living in the Midwest. 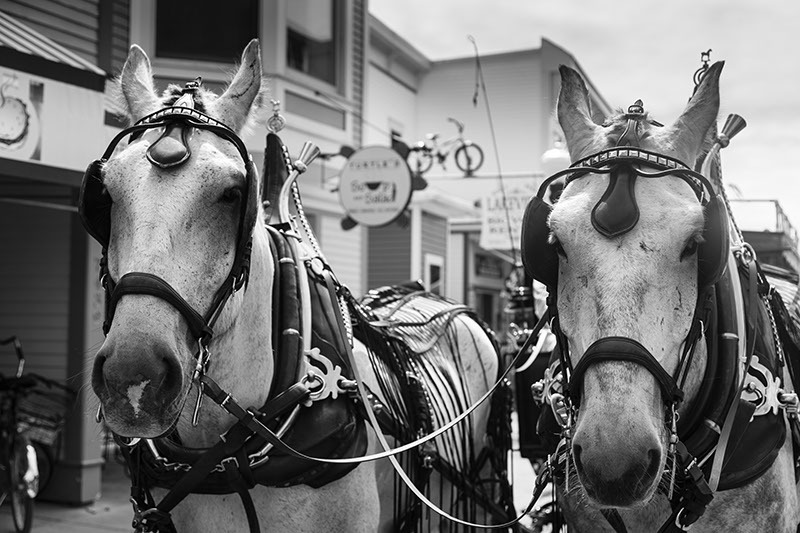 Next I went to Mackinac Island where horses substitute for cars. The trip ended in Ann Arbor where I photographed the graffiti alley. My travels through Northern Michigan continue. Up here they make a big deal about being near the 45th parallel. It is halfway between the North Pole and the Equator, numerically. In the winter it probably feels like the North Pole, and in the summer, neither ever had it this good, with the high temperatures in the low 70’s. Traverse City is at the South end of a bay between two peninsulas jutting North into lake Michigan. The Old Mission Peninsula to the East features the better wineries. To the West is funky shopping and little restaurants. I would have to guess these peninsulas were formed by receding glaciers. The name “traverse” comes from the water voyage between the tips of the two strips of land which the French called the grand traverse.